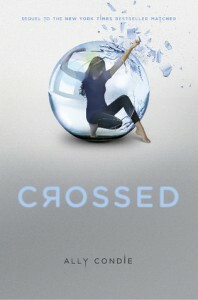 Because I believe that everyone and everything deserves a second chance, I decided to give the Matched series a second chance by reading Crossed in the hopes that it would be better than the first book. I gave Matched two stars so to me, that meant that it wasn't bad enough for me to abandon the series altogether, which is what I really should have done. I honestly didn’t think that it could have gotten any worse.